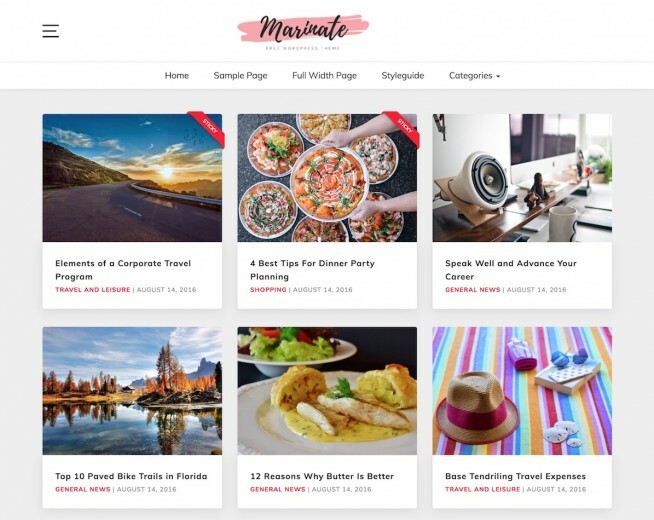 Maillard is a free food blog theme for WordPress, it's minimal design puts your recipes front and centre. 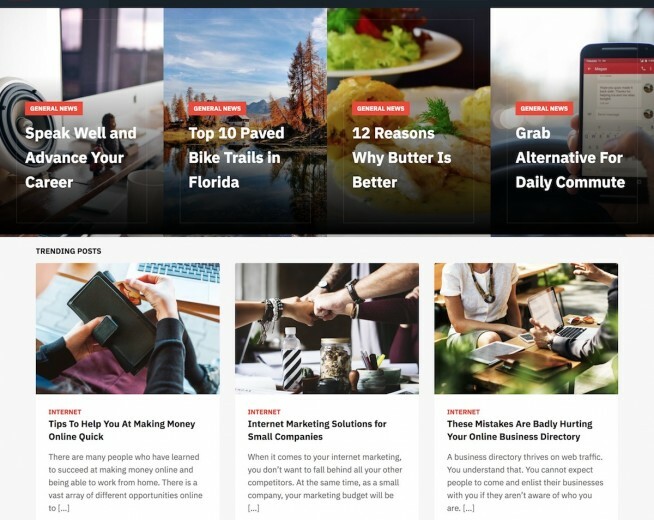 The easy to use theme options enable you to customize the design to your tastes. 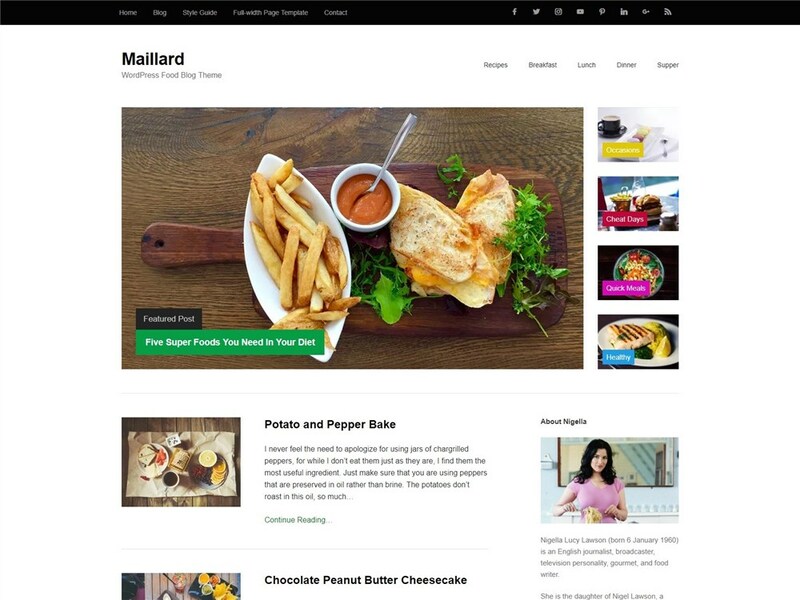 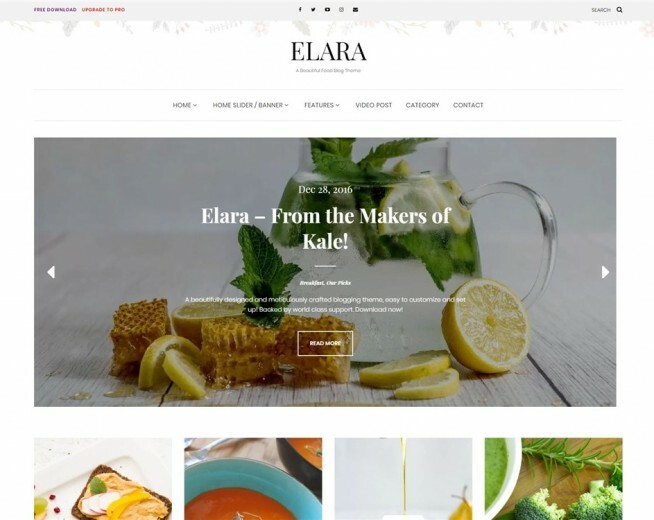 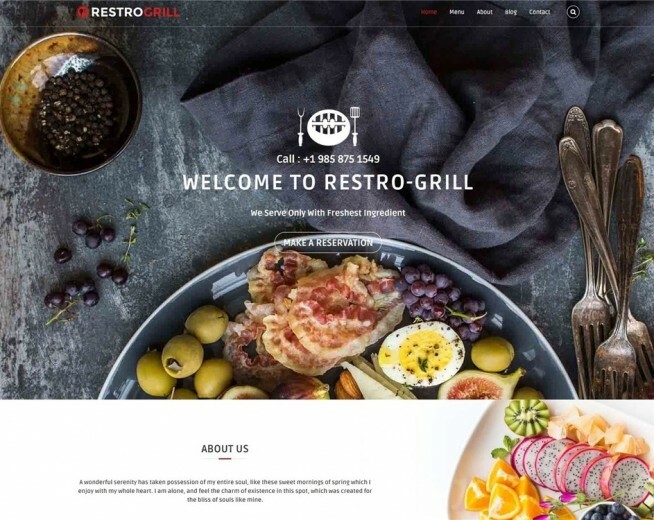 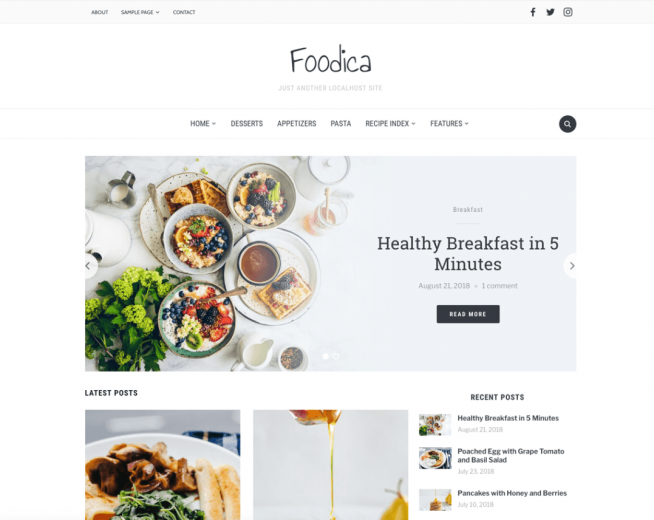 Maillard is a lightweight Food Blog Theme built using core WordPress functions. 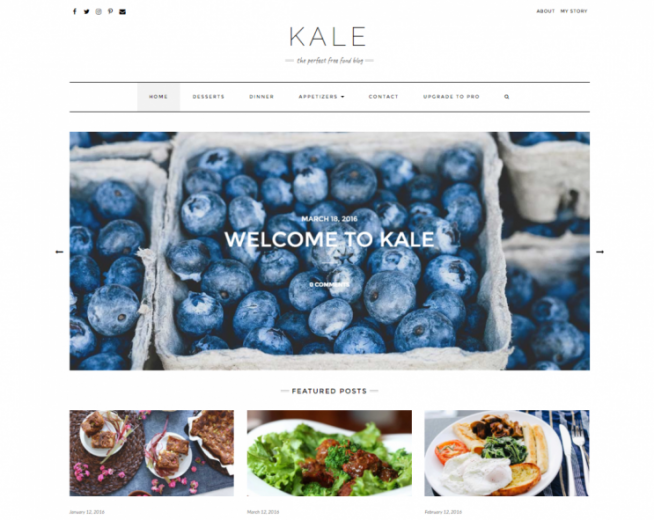 It doesn’t use any frameworks or libraries, this makes it fast, simple and easy to customize!